Shares in Barrick Gold Corporation (NYSE:ABX)(TSX:ABX) clawed back some of its earlier losses in after hours trade on Monday after the company and its JV partner NovaGold Resources’ (TSX, NYSE-MKT: NG) announced final federal permits for its massive Donlin project. Barrick said the US Army Corps of Engineers and Bureau of Land Management issued a joint Record of Decision for Donlin located in Southwest Alaska four months after the publication of the project's final environmental impact statement, "marking the completion of the multi-year federal environmental review process." The Corps issued a combined Clean Water Act Section 404 and Rivers and Harbors Act Section 10 permit to Donlin and the BLM also issued rights for a natural gas pipeline right of way crossing federal lands. 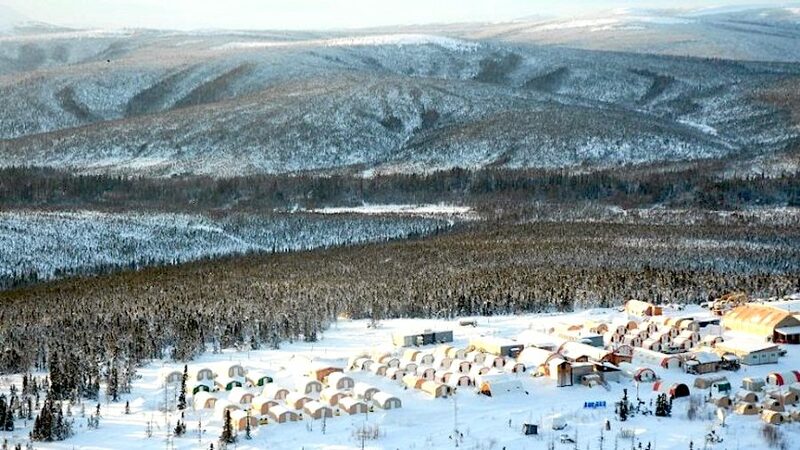 The Donlin project is one of the world’s largest gold deposits containing just under 34 million ounces of gold reserves. According to the partners all-in costs over the mine's 27-year life would be around $735 an ounce, boosted by grades of 2.2g per tonne. Donlin would be one of only a handful of mines around the world to produce more than 1m ounces annually. Bringing the project into production comes with a hefty price tag however, with the mine expected to require a $6.7 billion investment from the two owners, which are developing in assets in a 50-50 partnership. Barrick, the world's top producer of gold, fell 3% in regular trading as the gold price declined to its lowest since February last year below $1,200 an ounce. The Toronto-based company is now worth $12.4 billion in New York after a 30% decline in 2018. NovaGold is worth $1.4 billion on US over the counter markets and is trading in positive territory so far this year.